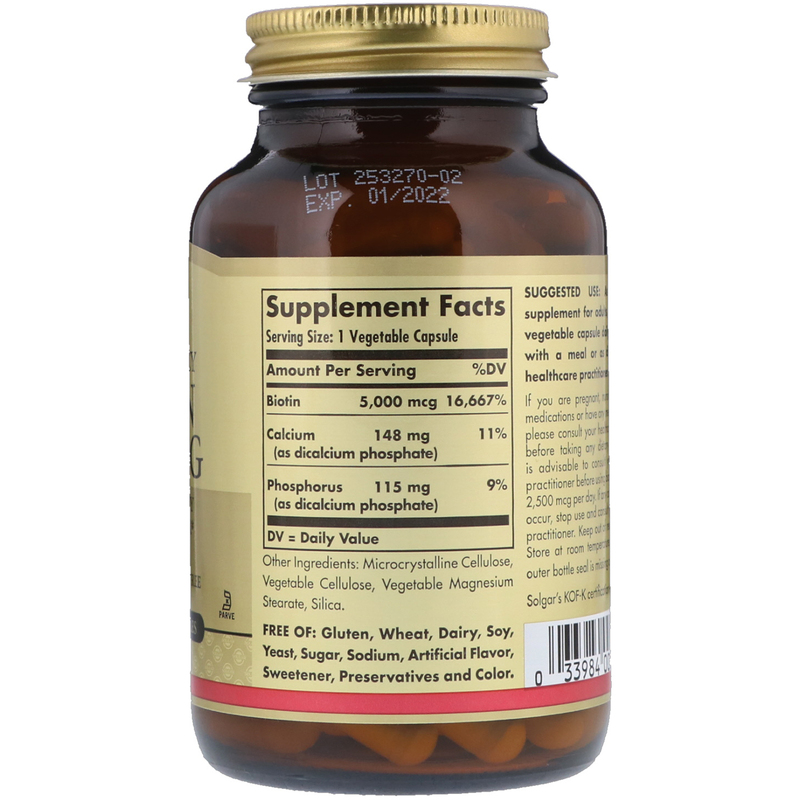 Biotin is water-soluble B-vitamin. It helps to support healthy skin, nails and hair, and is necessary for certain enzymes to work properly. Biotin also supports energy production in the body by converting food into energy, and is required for protein, carbohydrate, and fat metabolism. Microcrystalline cellulose, vegetable cellulose, vegetable magnesium, sterate, silica. Free OF: Gluten, wheat, dairy, soy, yeast, sugar, sodium, artificial flavor, sweeteners, preservatives and color. If you are pregnant, nursing, taking any medications or have any medical condition please consult your healthcare practitioner before taking any dietary supplement. 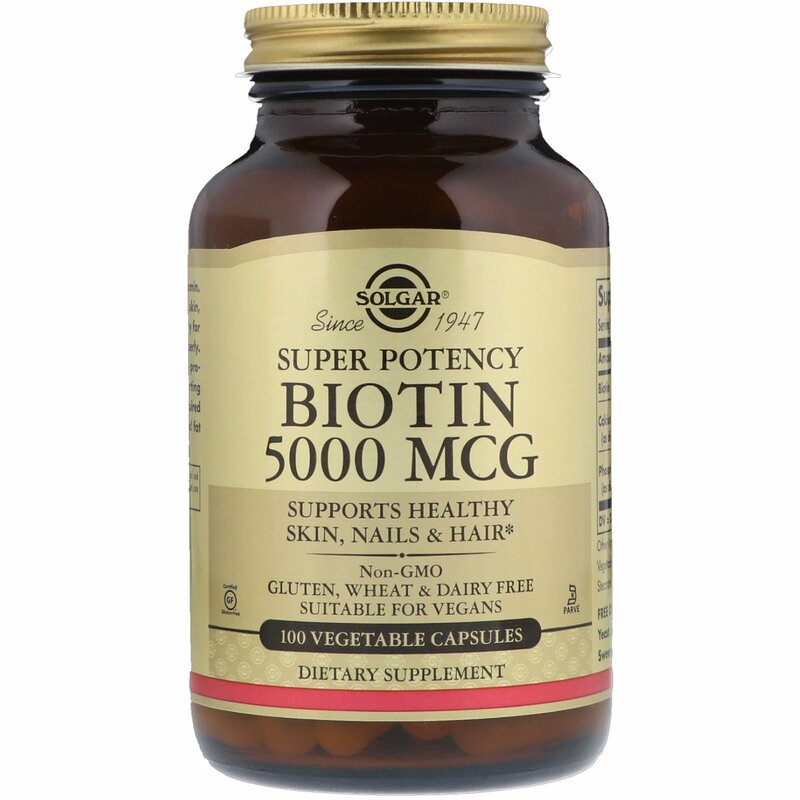 It is advisable to consult your healthcare practitioner before using biotin doses above 2,500 mcg per day. If any adverse reaction occur, stop use and consult your healthcare practitioner. Keep out of reach of children. Store at room temperature. Do not use if outer bottle seal is missing or damaged.